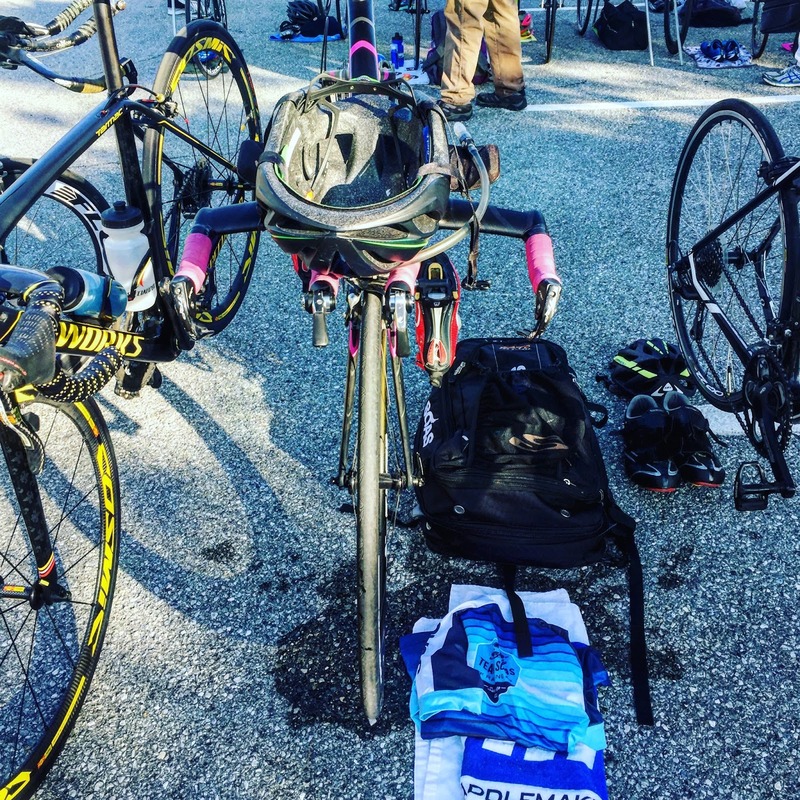 This past weekend I decided to run the Hagerstown Duathlon after being sick for a week and a half. I signed up at the last minute and I am glad I did. I was mainly looking to see how I was able to perform after not feeling well for a long time but I also wanted to put out a good bike time, I have been working very hard on my power on the bike so this would be a good early season test. I ended up performing a lot better than I could have predicted and came out with a third place finish. Not too bad right! Race morning was chilly to start but as the sun came out, it got a lot warmer and made the bike more bearable. The course is a big loop for the first run and bike and an out and back for the second run so it gave you the opportunity to see your competitors along the course. It was also easy to not get lost because everything was marked very well and there were individuals at every corner to help direct you. The course doesn’t have a timing mat to tell when you start so I made sure I was at the front of the line to go off when the clock started. I stuck with most of the men during the run, there weren’t very many women around me, and I think the men helped pace me to a much faster time of 6:58 per mile than I expected. The bike was a big loop with a bunch of right turns except for one of the last ones. Before the race, the director advised us of stuff to be aware of along the course but also told us he made sure the shoulder was cleaned up for us as the bike course was open to traffic which meant we were biking along the shoulder the whole time. It was relatively flat with minor hills and I was putting out some great power numbers averaging 138 watts and high speed. The second run consisted of more rolling hills so I really focused on strength to get up them fast. I was happy with my time averaging a 7:35 pace and one of the other women on the course helped advise me while on the run where I placed wise and how far ahead I was of the women behind me. 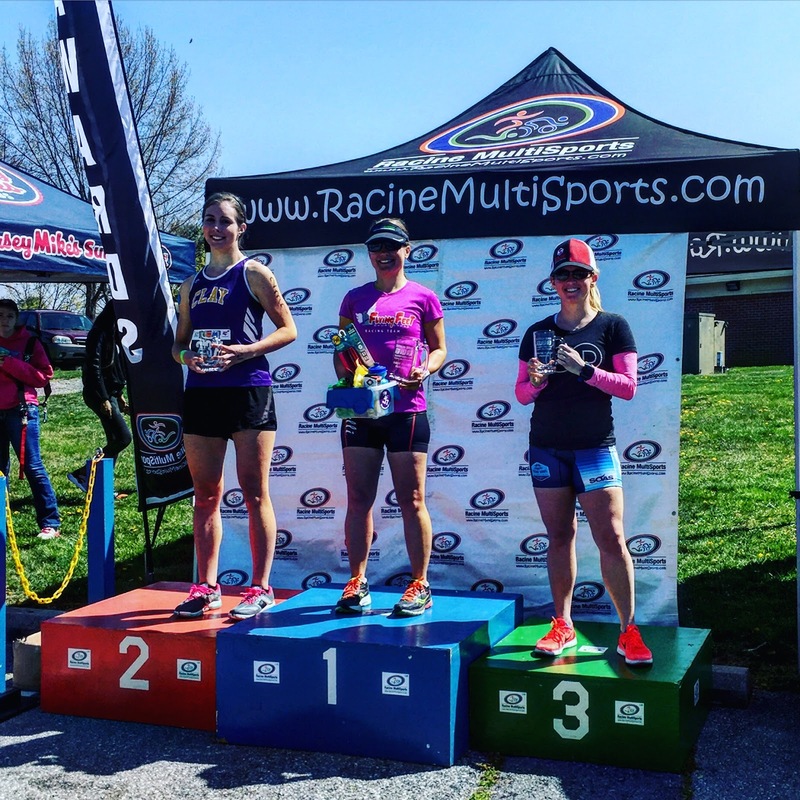 Knowing that information helped me regroup my pace and push harder. It obviously worked because I finished in 3rd. The only thing that worried me was the cold air on my lungs. At Michigan, it killed my lungs how cold the air was. In Hagerstown, it was chilly during parts of the race and I coughed a good amount the rest of the day, but still it made me nervous for how I was going to be able to handle the run. What I would advise for the race director is to have a timing mat at the halfway point on the run course and at the start of the run because that helps with knowing your exact time of start but also to prevent cheaters from cheating. This race I saw people who cheated and it could have been prevented with timing mats. Sometimes the Best Parts of a Race, Is the Race Itself.